This book is the basic book indented as a course supplement to students of B.A.M.S, M.D, Medical officers and Practitioners of Ayurveda. This text book describes all the vital topics related to Vikruti Vigyan and Roganidana and Kayachikitsa paper-1. 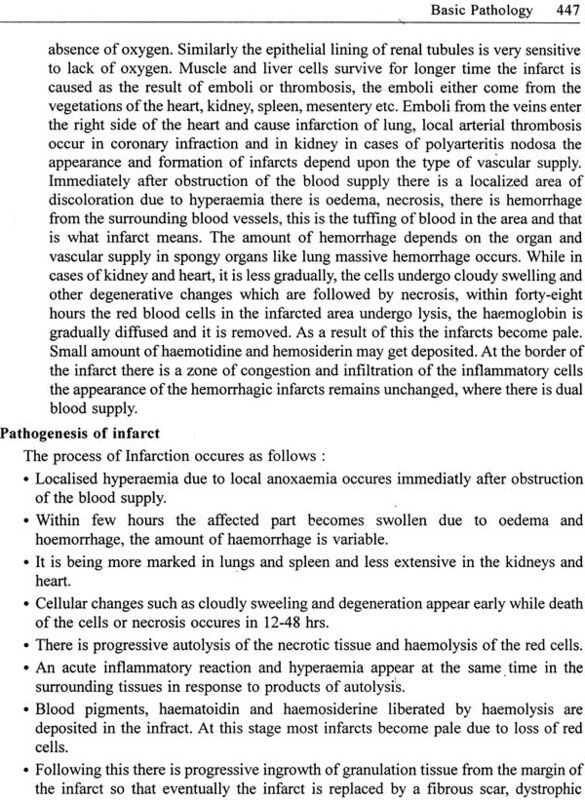 This text book covers both clinical and Laboratory diagnosis of the disease. It is the book written in English which includes new chapters like Sushurtokta Dwadasha Pariksha, Concept of Agni, Astoumahagada, Padachtustaya, Janapadodwamsa, Doshavaha Srotas and Ojovaha Srotas. Diagnosis of the diseases is completely depends upon the proper history talking, clinical examination and ancillary investigations. All these aspects covered in this text book. It is the classical book on Ayurvedic diagnostics. Dr. Vivekanand. B. Mastamardi is teaching Vikruti Vijnan and Roganidana since 1992. He is renowned Ayurvedic diagnostician. He completed his B.Sc. 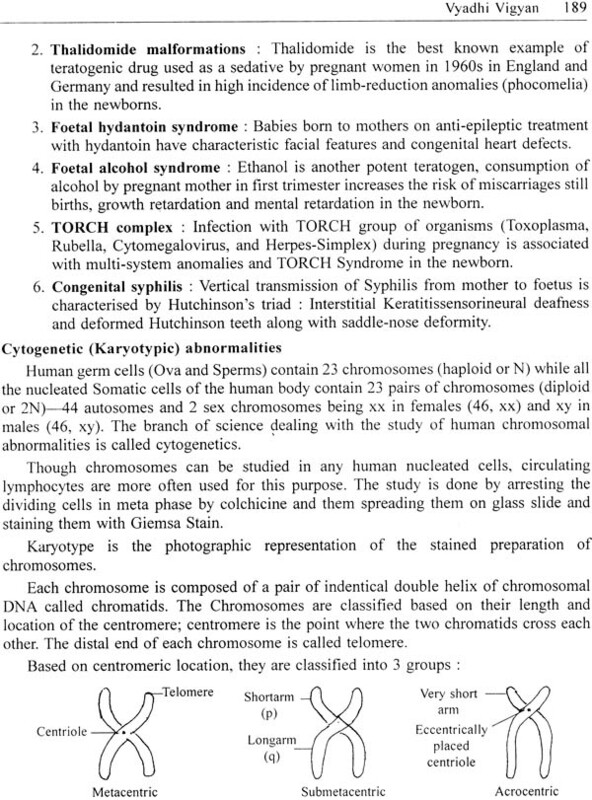 (Bacheolar of Science) from Karnataka university, B.S.A.M (Bachelor in System of Ayurvedic Medicine) from K.L. Es Shri B. M. K. Ayurveda Mahavidhyalaya, Shahapur, Belagavi, B.A.M.S (Bacheolar of Ayurvedic medicine and surgery) (Integrated) from Bangalore University and B.Sc M.L.T. from K. L. Ex Jawaharlal Nehru Medical College, Belagavi. The author has published many articles, presented papers in state level conferences. Presently author is working as Professor and H.O.D Dept of Vikriti Vijana and Roganidana in Shri. J.G. Cooperative Hospital Society’s, Ayurvedic Medical College, Ghataprabha. I am very happy to know that Dr. Vivekanand B. Mastamardi, Dept. 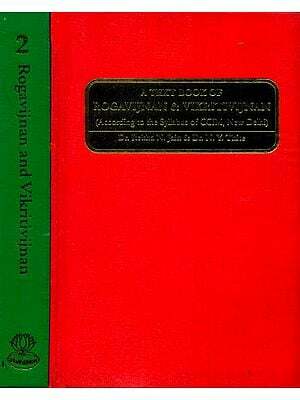 of Roga Nidan and Vikruti Vigyan of our College, has written a text book of ‘Roga Vigyan evum Vikruti Vigyan’ as per the CCIM, New Delhi Syllabus. In this vast ocean of Ayurveda there is actually a need of this kind of text book will be most use full UG & PG students with ready reference. 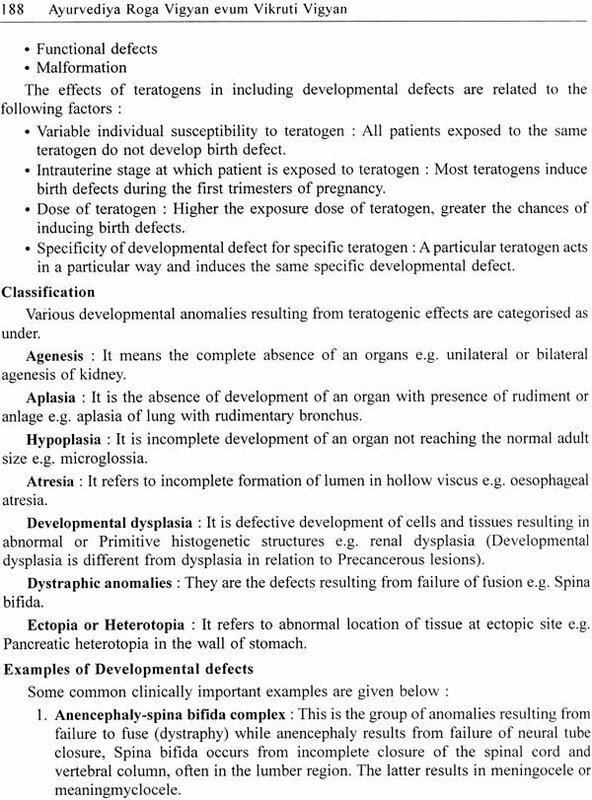 This book highlighted the theory and practical aspects of diagnosis along with diagnostic aids with expert dept interpretations. 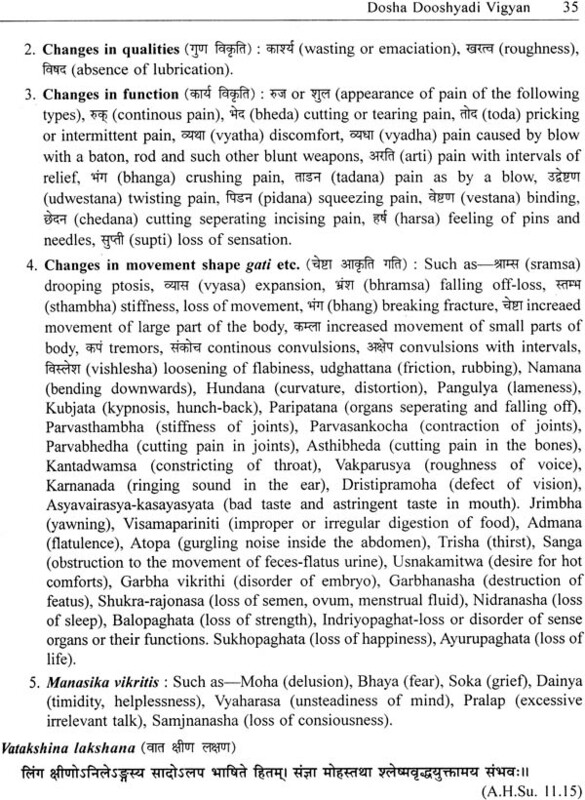 Language of the book very easy to understand with real meaning of Ayurvedic terminologies. I wish success to this 1st edition book. I personally recommend this book to all the students of Ayurveda. Hope all well wishers of Ayurveda will appreciate this unique book. I congratulate Professor Dr. Vivekanand B. Mastarmardi for publishing this book. In the vast curriculum of Ayurvedic Student the subject of Vikruti vigyan and Roga Vigyan is one of the biggest hurdles to cross. With magnitude of its content and difficulties in interpretation of matter and language In my teaching experience sparing two decades I have encountered many situation and doubts from students which have made me to think carefully about the subject texts. However as I explored deeper in to the paths of these slokas. I was astounded with the sheer Brilliance and dept of clinical acumen of our ancient healers and their relevance in the medical world even today. But to understand and appreciate our science to that extent one need to plunge into the depth of these texts, which needs time and patience. With the lack of both these t our student the journey through this subject becomes tedious and frustrating. 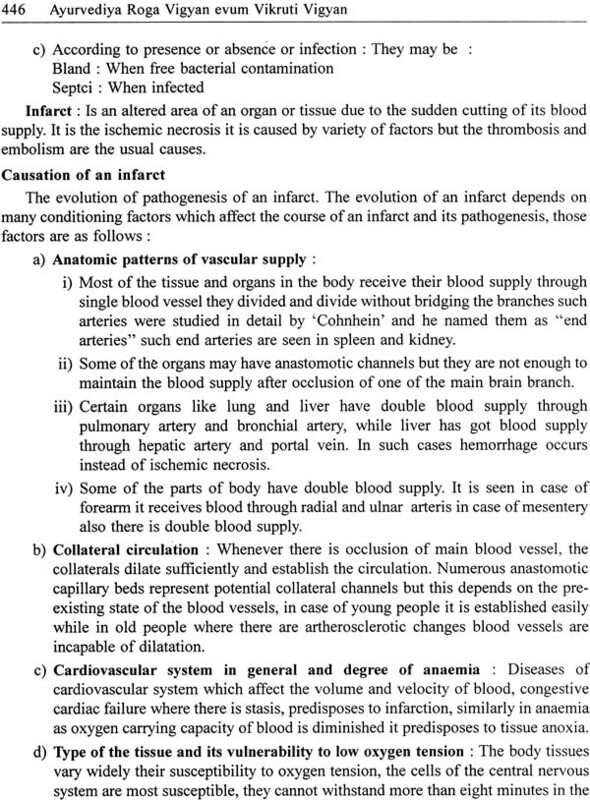 Having faced these difficulties as a student and teacher, I have made an attempt to provide my students with a text which tries to make them in understanding of Vikruti vigyan and Roga vigyan simpler and also emphasizes its relevance while co-relating it with modern medical science. This book addresses the theory and practical aspects of how to diagnose the disease by using diagnostic aids along with it also explains about understanding of the disease in to toto. My Prediction is based on observations that the Ayurvedic diagnostics is becoming less applicable due to advancement of scientific inventions in relation to diagnostics. 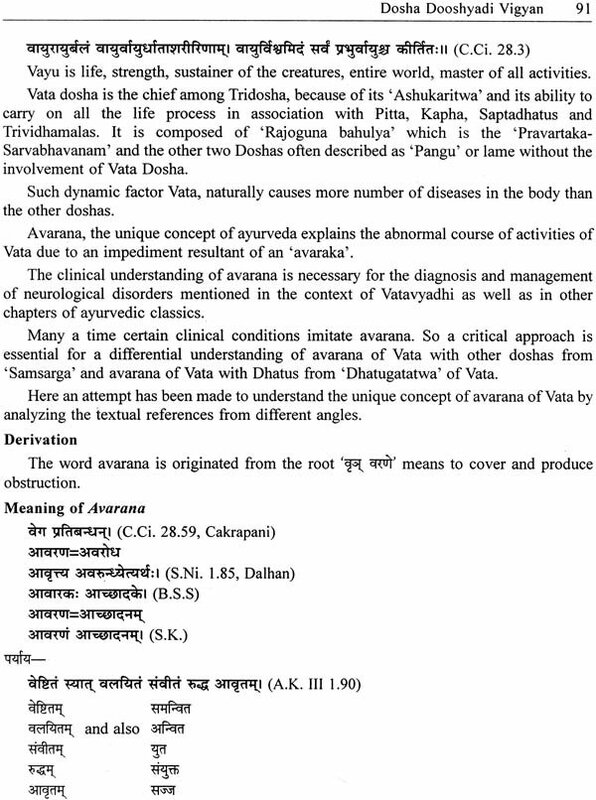 Still Ayurveda finds a place in clinical diagnostics. My intention is to making it easier to understand bright future about Ayurvedic principles. Despite advances in technological medicines, proper history taking and physical examination till provide the correct final diagnosis is the majority of cause and remain the corner stone of clinical medicine and it is the biggest strength of Vikurit vigyan and Roga vigyan. Medical students spends much time to learn these techniques. Clinical methods are thought in indoor. Patient department to teach the long case, complete history and physical examination despite of its inefficiency and errors. 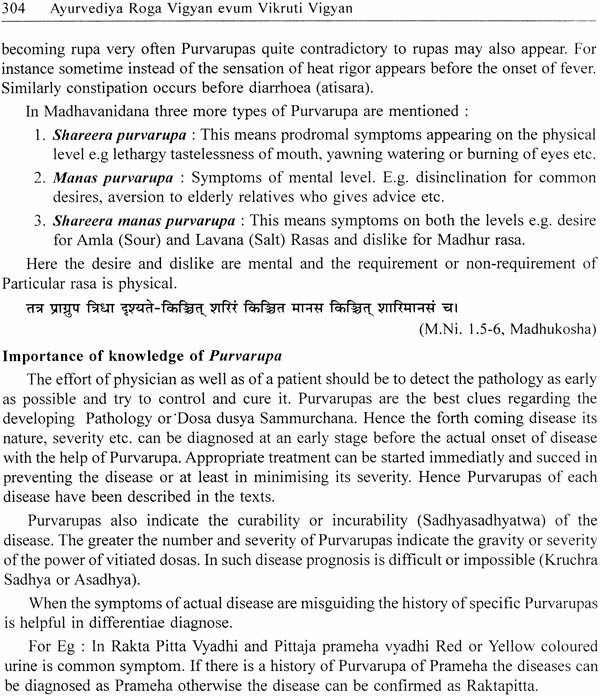 Ayurvedic Acharyas say that diagnostic accuracy depends on both mastery of knowledge and through practical trainings so the diagnosis of disease. Important skills of communication clinical examination, objective assessment and planning relevant investigations and management are the major points discussed under Vikruti vigyan and Roga vigyan. 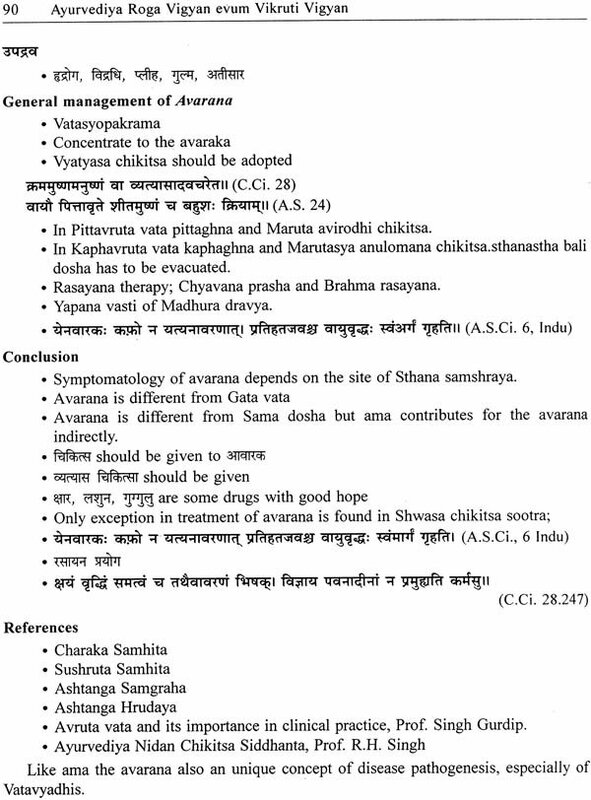 Vikruti vigyan and Roga Vigyan is crucially important clinical subject because of its unquie approach towards Ayurvedics. 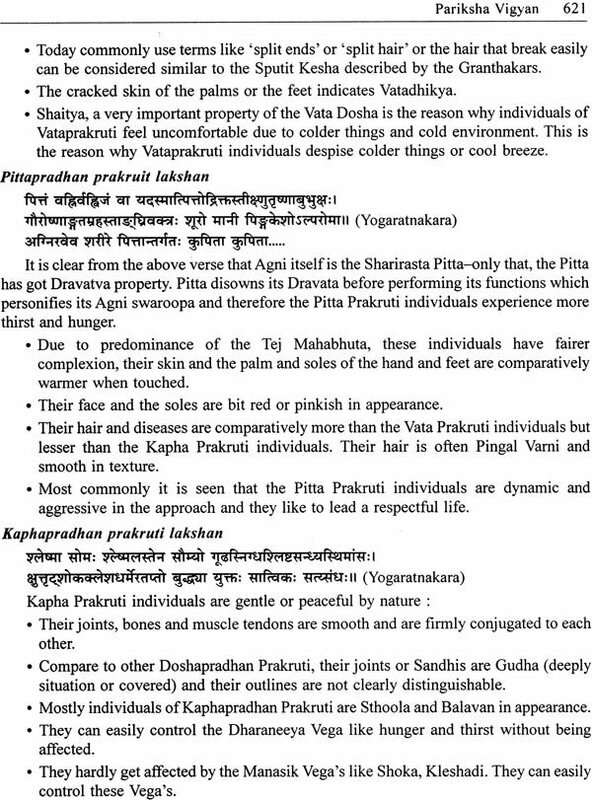 It is for this reason that there is a separate section was made in the all samhitas. The component of this book provides complete knowledge forward understanding of the factors which are essential in manifestation of diseases. 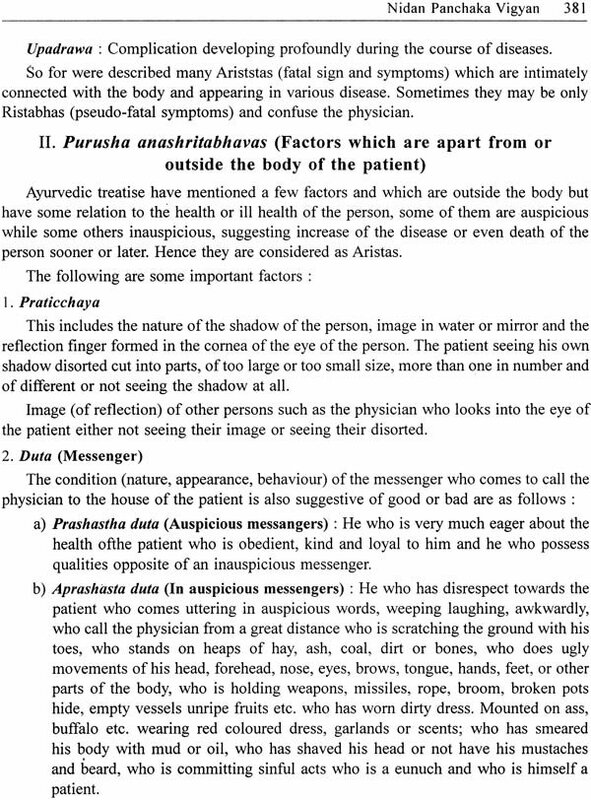 It intends to provides a basic understanding of Ayurvedic diagnostic to becomes a successful Ayurvedic physician. 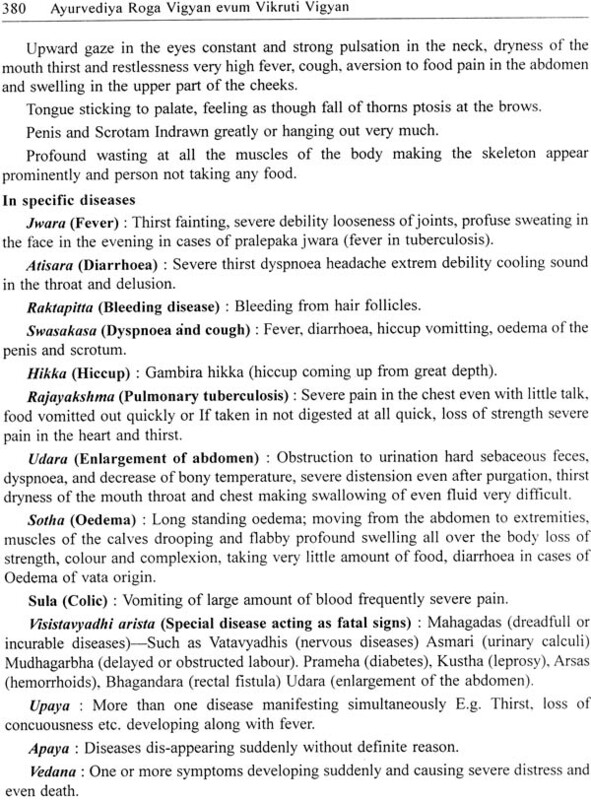 It is unique in providing information related to pancha Nidan of diseases. The primary focus is to generate interest among Ayurvedic graduates to adopt Ayurvedic diagnostics in their routine practice. The material has been organised meticulously in such away that the student can easily understand retain and reproduce it.